This item is a pre-order. Stock is expected to arrive July 2019. Following the success of our TARDIS Satchel Bag, we’ve worked hard to develop this alternate take on the design. Now in the form of a backpack, this version includes a padded interior pouch which can comfortably accommodate a 15” Laptop as well as a charger, leaving plenty of room for anything else you may wish to take with you on your travels! If you don’t want to wear your backpack, it can also be carried using the 13th Doctor-inspired handles! 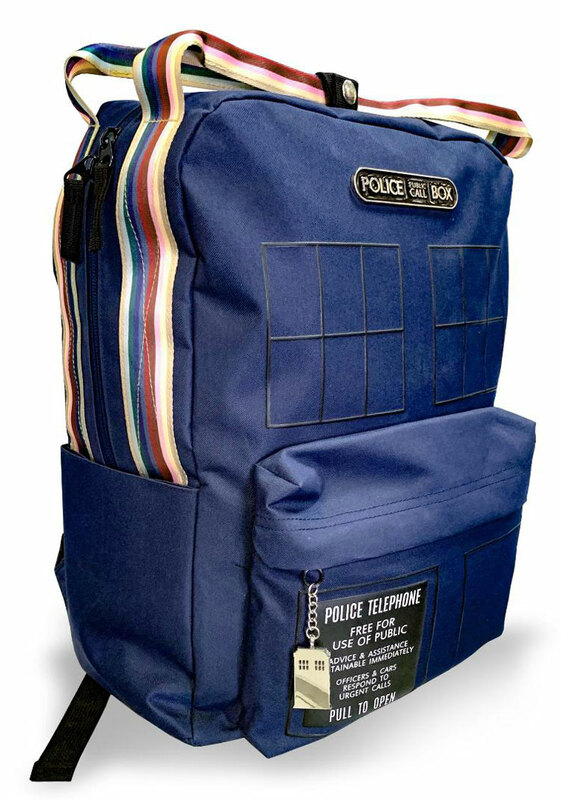 The backpack comes complete with a die-cast TARDIS charm.